The new Aygo has a X motif as part of the front fascia design, giving it a different face than sister models from Peugeot and Citroen. GENEVA -- Toyota reconfirmed its commitment to its minicar alliance with PSA even though the French automaker has agreed a capital tie-up with China's Dongfeng Motor Corp.
“Partnering with PSA allows Toyota to be profitable in the A-segment and this is the reason we extended this partnership,” Toyota Europe CEO Didier Leroy said at the Geneva auto show where the company unveiled its second-generation Aygo minicar. The Aygo is built in a PSA-Toyota joint venture plant in Kolin in the Czech Republic alongside the Peugeot 108 and Citroen C1, both of which also debuted at the show. PSA last month unveiled a 3 billion euro capital increase in which Dongfeng and the French state will each pay 800 million euros for 14 percent of the carmaker. Leroy said PSA's tie-up with the Chinese manufacturer has not affected his firm's relationship with the French automaker. “So far, so good,” he said. Toyota's minicar alliance with PSA is 10 years old. The Kolin plant has an annual capacity of 300,000 units. 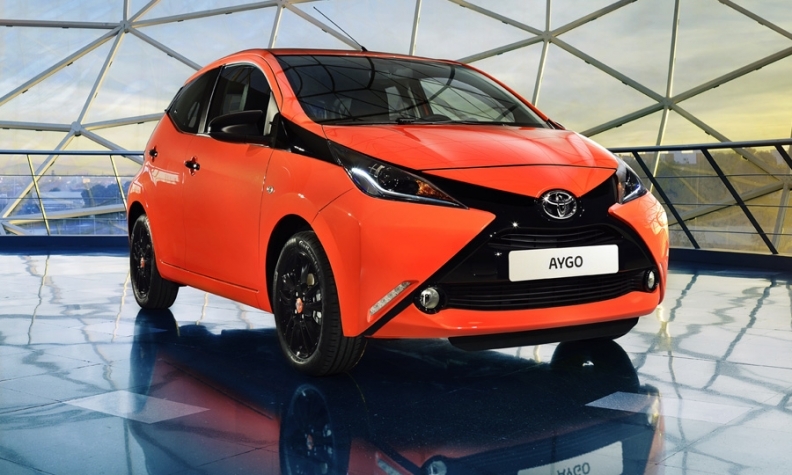 The Aygo, which is only sold in Europe, plays a vital role in Toyota's profitability in that region. Launched in 2005, the first-generation Aygo, C1 and Peugeot 107 were more like identical twins than sister models, with their differences limited to headlamp and bumper shapes. The new-generation models that debuted here this week have significantly greater differentiation. “We obviously share the platform and the entire powertrain, the windshield and the doors but the rest of the body is specific for each brand,” said Karl Schlicht, Toyota Europe executive vice president in charge of sales, marketing and product. Last year Toyota sold 65,000 Aygos. Sales of the new model will begin in June and Schlicht predicts they will reach 80,000 units in 2015, the first full year of new generation's production. The new Aygo will only have gasoline engines. Toyota dropped a diesel option three years ago due to limited demand. There also are no plans to introduce a hybrid version, which would be too expensive for the minicar segment, Schlicht said. Despite this omission of a gasoline-electric minicar in the lineup, hybrids account for a rapidly growing proportion of Toyota sales in its European region, which consists of 56 countries and included Russia and Turkey. Toyota's hybrid sales in Europe rose to more than 19 percent of total volume last year from 12 percent in 2012. Hybrid penetration varies widely between markets and models, strongly influenced by differences in taxation and incentive schemes. Gasoline-electric variants account for 30 percent of Yaris subcompact sales, 40 percent of Auris compact hatchback sales and 65 percent of Auris TS compact wagon sales. “We were expecting high hybrid take-up of around 50 to 55 percent for fleet-oriented models such as the Auris TS, but the market response had been even better,” Schlicht said.